Published by Hodder and Stoughton Ltd., London First Edition 1931. 1931. First edition hard back binding in publisher's original royal blue cloth covers, gilt title and author lettering to the spine and the front cover, red dyed upper edges. 8vo. 10'' x 6½''. 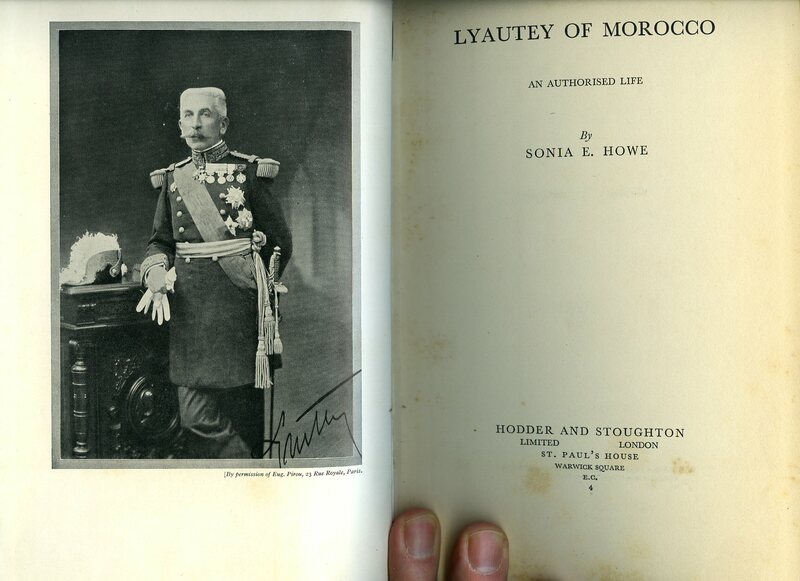 Contains 338 printed pages of text with monochrome frontispiece, 16 photographic plates and 4 folding maps. Sun fading to the blue of the spine and upper margins of the covers, foxing to the closed fore edges and in Very Good condition, no dust wrapper. Member of the P.B.F.A. Published by Librairie Plon, Les Petits-Fils de Plon et Nourritm 8 rue Garanciere, Paris 1954. Paris 1954. Publisher's original illustrated card wrap covers. 8vo. 7½'' x 5¼''. Contains 310 printed pages of text with monochrome photographs and illustrations throughout. Crease across the upper front corner and down the spine, cheap paper browning. In Very Good condition, no dust wrapper. Member of the P.B.F.A. 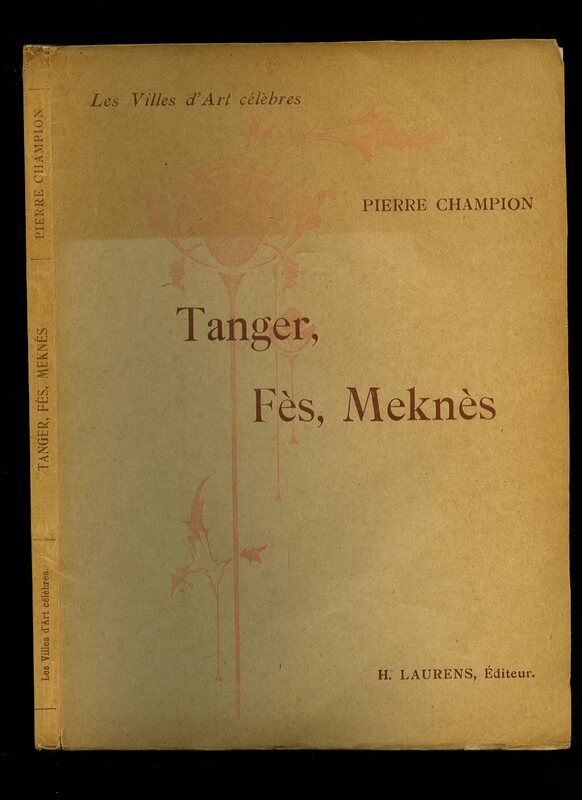 Published by Librairie Renouard, 6 rue de Tournon, Paris Revised Second Edition 1931. Paris 1931. Second revised edition in publishers card wrap covers. 4to. 10'' x 8½''. 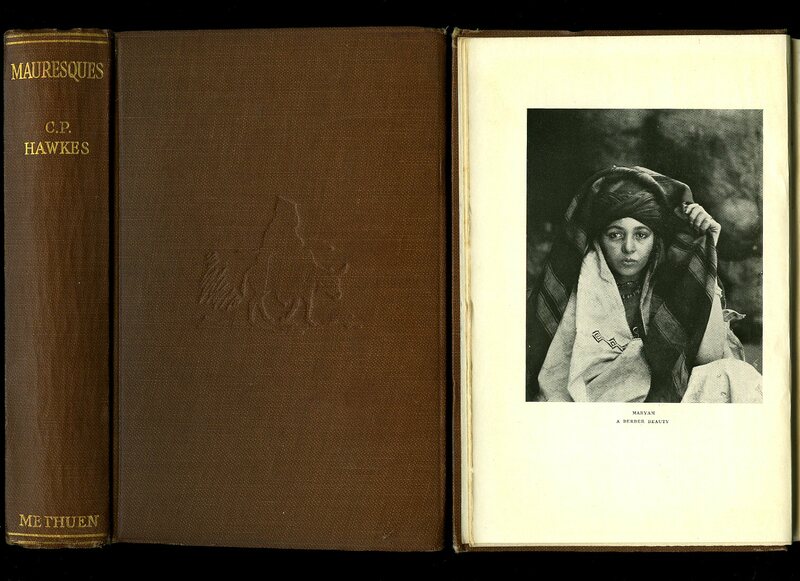 Contains 160 printed pages of French text with monochrome photographs throughout. Ink marking to the front free end paper, age darkened closed page edges, age spots to the rear free end paper. Very Good condition book, in original glassine dust wrapper. Member of the P.B.F.A. 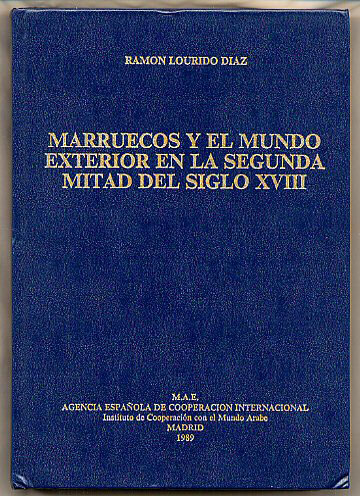 Published by Agencia Espanola de Cooperacion Internacional, Instituto de Cooperacion con el Mundo Arabe, Madrid 1989. Madrid 1989. First edition hard back binding in publisher's original navy paper covers, gilt title and author lettering to the spine and the upper panel. Quarto 10'' x 7½''. ISBN 8472325229. 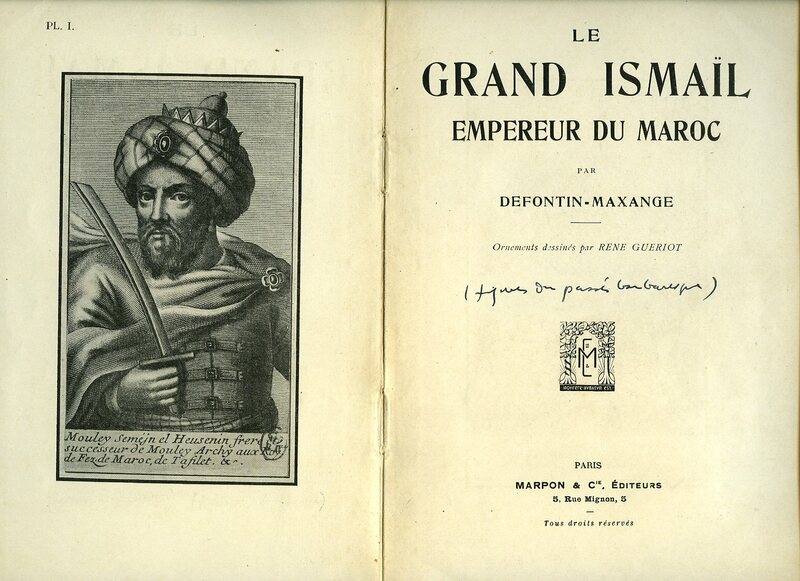 Contains 743 printed pages of Spanish text, monochrome illustrated frontispiece of the Sultan. Lower spine tips and corners slightly crushed. In near Fine condition, pages crisp and white, no dust wrapper. Member of the P.B.F.A. Published by Marpon & Cie., Editeurs, 5 rue Mignon, Paris First Edition 1929. Paris 1929. First edition hard back binding in publisher's original scarlet cloth covers, black ink hand written title to the spine. Quarto 10'' x 7½''. Contains 316 printed pages of text with monochrome illustrations throughout, monochrome illustrated frontispiece. Shallow rubs to the corners, front hinge cracked, ink marking to the front free end paper dated 1939, ink and pencil markings in the margins throughout, 40 mm tear to the lower rear gutter, age darkened closed page edges. In Good condition, no dust wrapper. Member of the P.B.F.A. 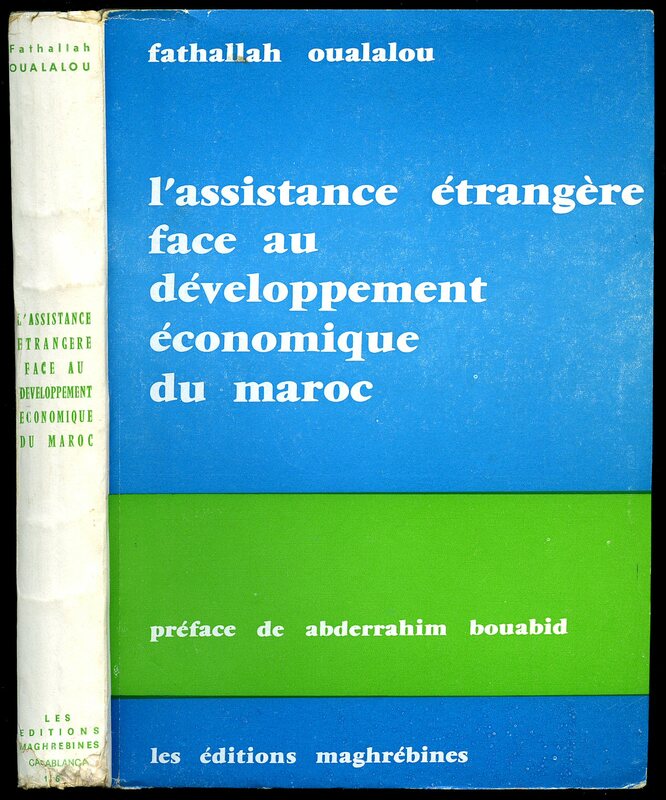 Published by Les Editions Maghrebines, 5-13 rue Soldat Roch, Casablanca 1969. Casablanca 1969. Publisher's original card wrap covers. 8vo. 10'' x 7''. 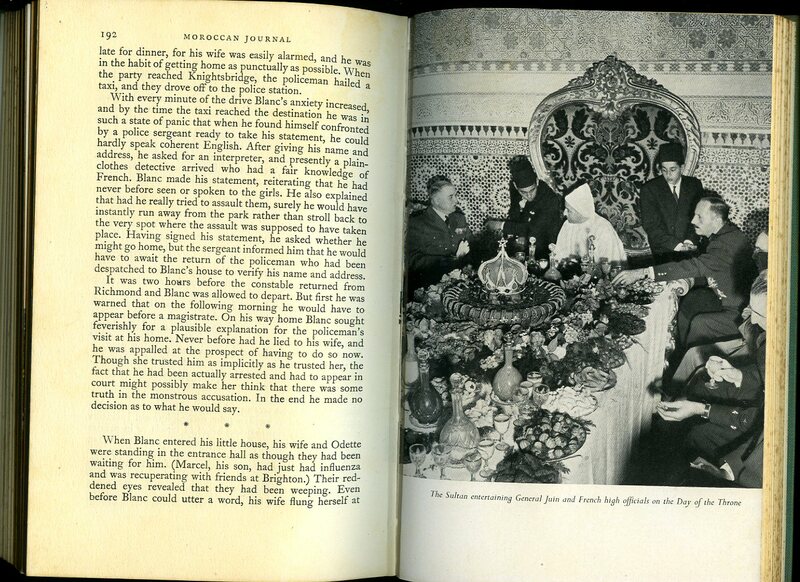 Contains 422 printed pages of French text with monochrome tables throughout. Nicks and chips to the lower spine end. In Very Good condition, no dust wrapper as published. Member of the P.B.F.A. Published by Cassell & Company Ltd., 37-38 St. Andrew's Hill, London First Edition 1911. London 1911. 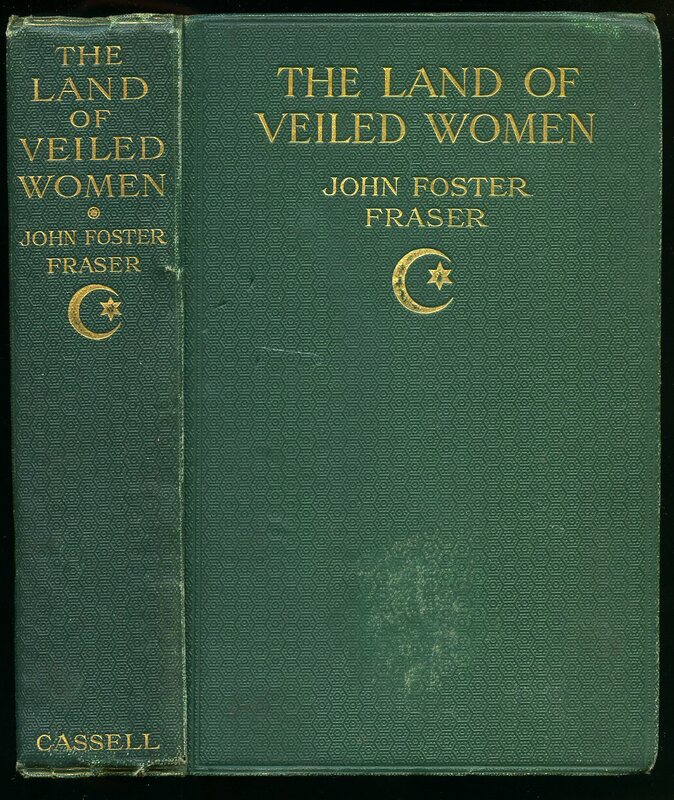 First edition hard back binding in publisher's original emerald green cloth covers, gilt title and author lettering to the spine and the upper panel. 8vo. 7½'' x 5¼''. Contains [viii] 288 printed pages of text with 44 colour and monochrome photographs throughout, 2 of which have been tipped back in to different pages to the 'List of Plates' page. Ink name to the front free end paper, corners and spine ends rolled-in, spine not faded and in Good condition, no dust wrapper. Member of the P.B.F.A. First edition hard back binding in publisher's original russet cloth covers, gilt title and author lettering to the spine, blind tooled vignette the upper panel. 8vo. 7½'' x 5¼''. ISBN. Contains [x] 248 [8 catalogue] printed pages of text with 21 monochrome photographs throughout. Very minor foxing to the page edges, spine not faded and in Very Good clean and square condition, no dust wrapper. Member of the P.B.F.A. Published by Diffusion Editions Ophrys, 10 rue de Nesle, Paris 1973. Paris 1973. Publisher's original illustrated card wrap covers. 8vo. 10'' x 7''. Contains 282 printed pages of text with monochrome photographs throughout. Small crease to the upper front gutter. In near Fine condition, no dust wrapper as published. Member of the P.B.F.A. 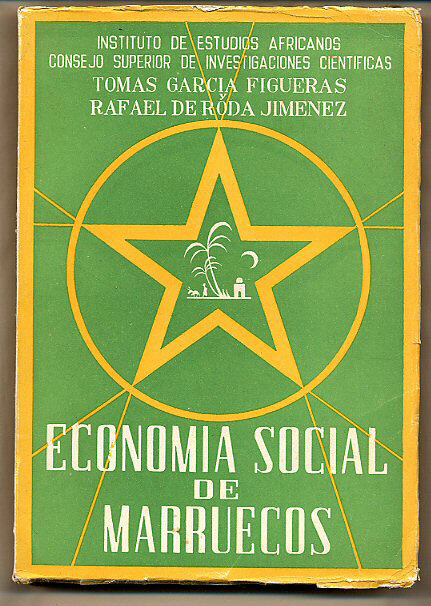 Published by Instituto de Estudios Africanos Consejo Superior de Investigaciones Cientificas, Madrid 1950, 1952, 1955. Three Volumes. Madrid 1950, 1952, 1955. Publisher's original uniform matching cream card wrap covers with the front cover to volume I being green and yellow. 8vo. 9½'' x 7''. Contains 404 [viii index]; 520 [viii index]; 518 [viii index] printed pages of Spanish text with monochrome photographs and maps to volume I. Just a little tearing of the card cover to spine of volume III and in very Good clean condition, no dust wrappers as published. 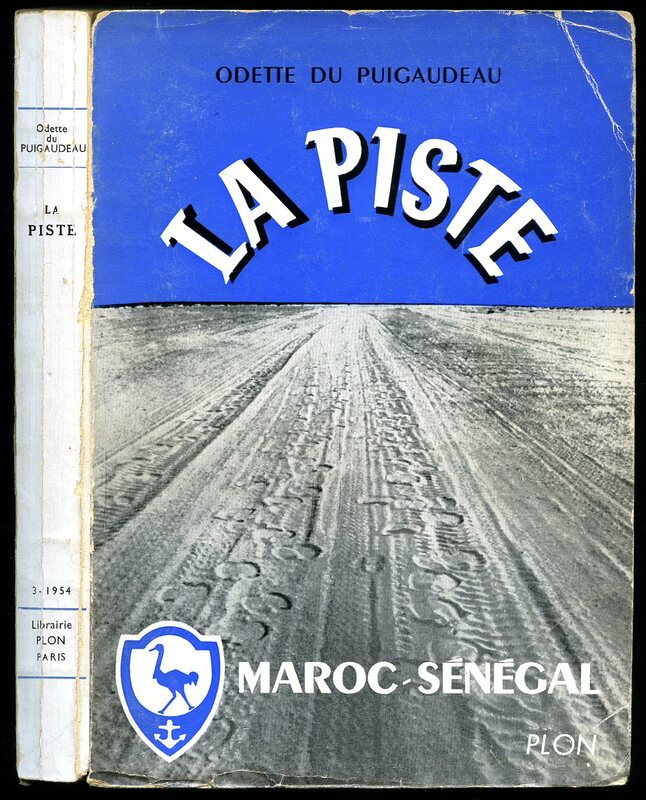 We currently hold in stock 45 other titles on Morocco. Member of the P.B.F.A. Published by Robert Hale Limited, 63 Old Brompton Road, London First Edition 1952. London 1952. First edition hard back binding in publisher's original apple green cloth covers, black title and author lettering to the spine. 8vo. 8½'' x 6''. Contains [x] 247 printed pages of text with monochrome photographs throughout. Spine very slightly sun faded and in Very Good clean condition, no dust wrapper. 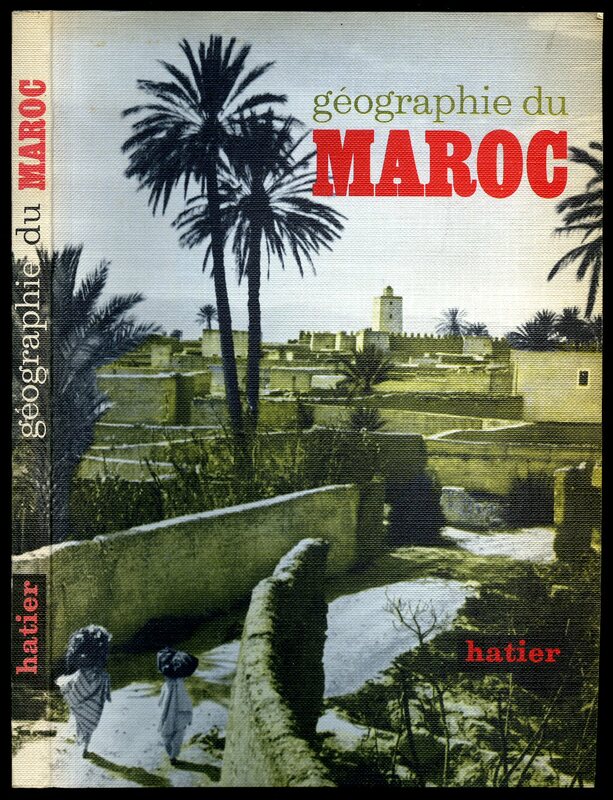 We currently hold in stock 50 other titles on Morocco. Member of the P.B.F.A. 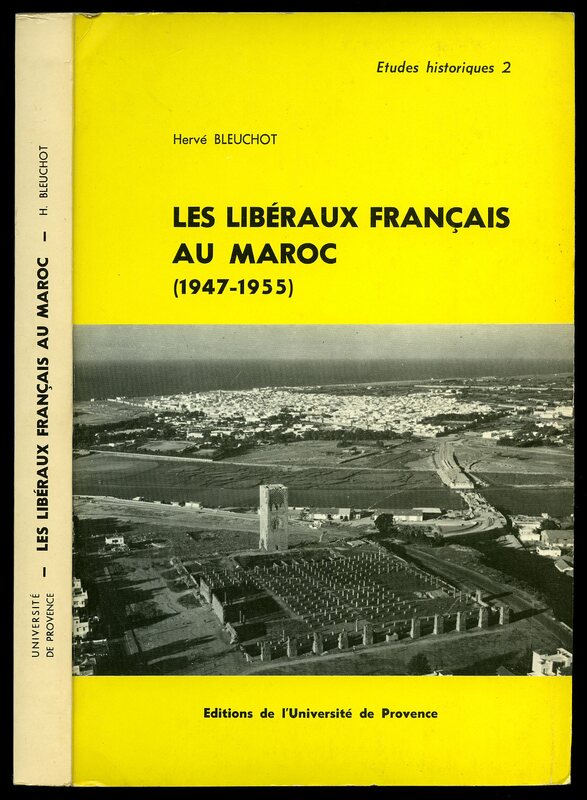 Published by Hatier, 8 rue d'Assas, Paris pour Librairie Nationale, Casablanca November 1967. Paris 1967. Publisher's original illustrated card wrap covers. 8vo. 10'' x 7''. Contains 255 printed pages of French text with monochrome photographs, maps and charts throughout. A little light foxing to the upper closed page edges, a few tan age spots to the end papers. In Very Good condition, no dust wrapper as published. Member of the P.B.F.A. Published by Cassell & Company Ltd., 37-38 St. Andrew's Hill, London 1913. London 1913. Hard back binding in publisher's original light blue cloth covers, scarlet title and author lettering to the spine and the upper panel. 8vo. 7½'' x 5¼''. Contains [viii] 288 printed pages of text with 4 monochrome photographs. End papers and spine age darkened, light foxing to the page edges and in Good condition, no dust wrapper. Member of the P.B.F.A. 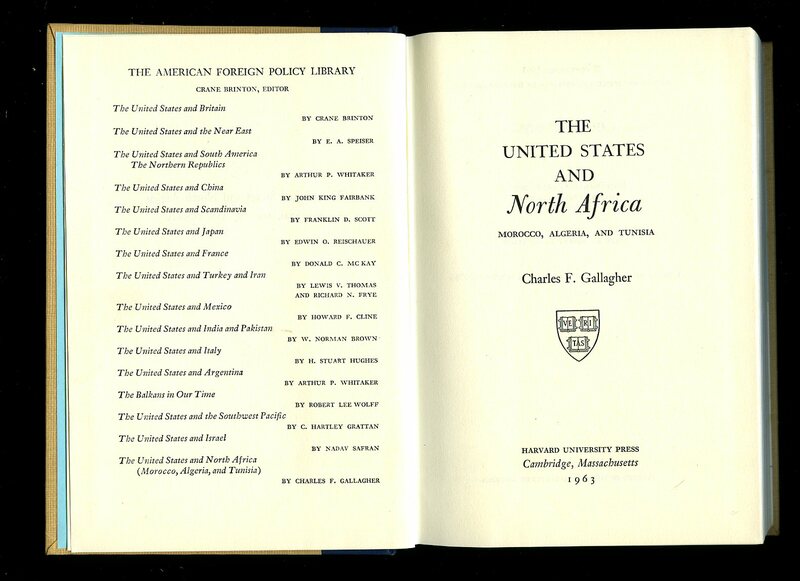 Published by Harvard University Press, Cambridge, Massachusetts 1963. Massachusetts 1963. 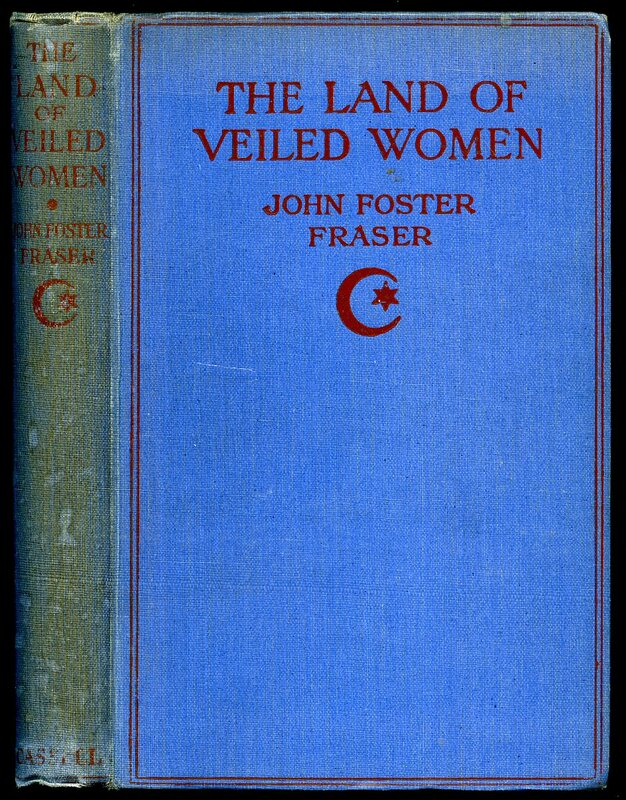 Hard back binding in publisher's original cream paper covers with navy cloth spine, gilt title and author lettering to the spine. 8vo. 7½'' x 5¼''. Contains [xii] 275 printed pages of text, maps to the end papers. Minimal wear to the edges. Near Fine condition book, no dust wrapper. Member of the P.B.F.A.